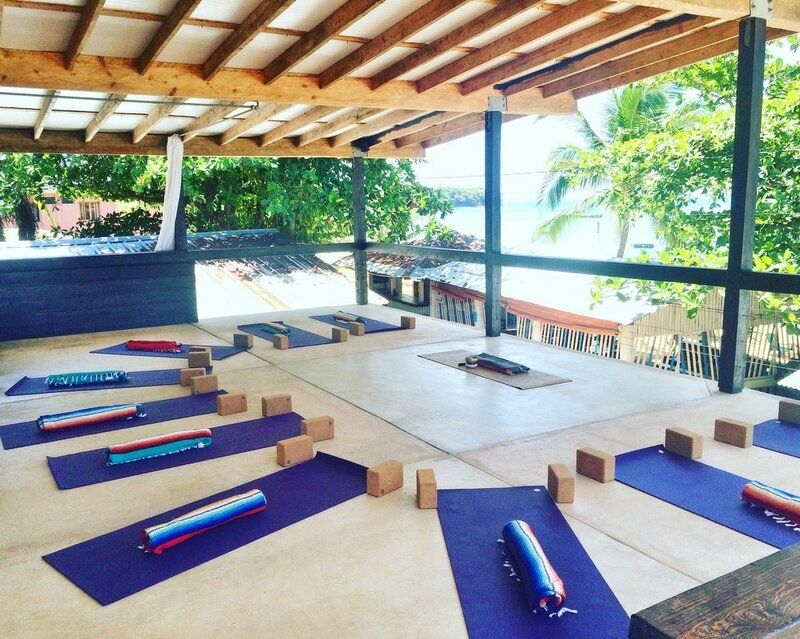 Funk Yoga Studio, Little Corn Island Nicaragua - FUNK YOGA & SUP, CO.
Find your groove both on the mat and off during our 75 minute yoga classes on land. Our classes are currently suspended as we are closed for the season. Come practice in paradise in our open air space overlooking the sea. Our mission is to help, aid, revive, and ignite a student's experience and education so they can find their groove both on and off the mat. All levels are welcome! Our studio space is 680 sq ft and is fully equipped with mats, blocks, straps, and blankets for our students. Partner Yoga in Paradise with Leontien Reedijk, Owner of Karma Shack. Acro Yoga with the Acro Siblins: Mark and Lillian Lil. Check them out on instagram at: @acrosiblins! If you are an instructor traveling to the island and interested in hosting a workshop, please contact Jacqueline Griffiths at info@funkyogaandsup.com! Whether you are looking for one-on-one instruction or want to schedule a class with your friends. Our instructors would be happy to help you with your practice in a private yoga session.